The International Rescue Committee hosted Breaking Bread, a pre-holiday feast on November 15, 2017, to bring the greater Salt Lake City community closer together. Guests enjoyed cuisine prepared by chefs with the Spice Kitchen Incubator, a program that helps refugees launch food-service businesses. The Breaking Bread event was held at This Is The Place Heritage Park and drew nearly 250 attendees including refugee families in the community. Upon arriving, guests were greeted by volunteers who guided them to one of dozens of tables in the high-ceilinged room. A 10-foot tall curved chalkboard wall stood near the podium, covered in decorative art and Polaroid photographs filling the shape of Utah. A flowery inscription reading “This is the place we all call home” emblazoned the top. An elaborate video setup occupied a side room, where guests recorded live greetings to welcome newcomers to Salt Lake City. Guests and volunteers flowed around the central seating, filling the mountain lodge-style space with a cheerful buzz of conversation between old friends and new acquaintances. At the bar, local startup Kiitos Brewing donated a selection of beer from its new lineup. The craft beer operation is a newcomer to the Utah brewery scene, but already setting itself apart as a leader in sustainable business and local collaboration. Natalie El-Deiry, deputy director of IRC, said Kiitos donates spent grain from the brewing process to the East African Refugee Goat Farm, a project benefiting refugee farmers on the west side of the Salt Lake Valley. The brewery is located in the Granary District south of downtown, and celebrated its grand opening to the public over the weekend of December 1, 2017. Food from four entrepreneurs took center stage at the feast. For appetizers, guests enjoyed Mediterranean and Middle Eastern fare, courtesy of two sisters. Suha and Mayada run Olives & Thyme together. Originally from Baghdad, they arrived in Utah in 2012 and started cooking with the Spice Kitchen Incubator in 2015. “Americans like to try new things, but there is nothing like what we make — they don’t know Arabic food here,” Mayada said. The sisters spent hours in the Spice Kitchen the day before the event, rolling dough and wrapping it around spinach and cheese. Savory pastries, falafel sliders and small rice and beef bites called “kubbah” filled guests’ platters during the pre-dinner mingling. The hors d’oeuvres proved too scrumptious to remain for long — the sizeable serving trays were stripped clean by the time dinner was served. The entree course was served family-style in huge bowls and deep dishes. Each table was assigned a different cuisine — Burmese or Somali. Haymar, originally from Burma, runs Januhongsar as her catering endeavor, as well as a specialty grocery store called Sonjhae Asian Market. Haymar has lived in Utah since 2008, and has been with Spice Kitchen since in late 2012. For the dinner, she served a chicken and kabocha squash curry with mixed seasonal vegetables over rice. The seasonal squash tasted like a tender semi-sweet pumpkin, and lent a vibrant orange glow to the plate like a late fall sunrise. Haymar’s mouth-watering dishes can be found often through the rotating Spice Kitchen To Go ordering on Facebook. To top it all off, the dessert course was capped with an intricately-designed cake featuring the event logo, thanks to M Bakeshop. Michaela started M Bakeshop with Spice Kitchen in early 2017, but has been baking her entire life. “I always loved to lick the bowl, ever since I was young. I could live off sweets,” she said. Born in Austria, she has lived in the U.S. since 1986 and Utah since 1995. In the last two years she has started to experiment with a different process that she calls “inside-out cake,” allowing her to bake delicate hand-drawn designs into her cakes. Because of her precision and care on each piece, Spice Kitchen approached her to add an upscale dessert to the event. “I love seeing the reaction of people to my creations,” she said. Patrick Poulin, executive director of IRC Salt Lake, welcomed attendees and spoke about the importance of sharing cultures between community members. Natalie El-Deiry presented awards to local groups that were integral in their contribution to the refugee community. One of the awards went to St. Mark’s Family Medicine for its work on the VeggieRx program, a pilot to help refugees address critical nutrition needs. This is the second year of the Breaking Bread event. Proceeds from ticket sales, as well as additional in-person donations, will help the IRC continue its work and promote new opportunities for refugees. As the Spice Kitchen Incubator continues to aid more local entrepreneurs ply their palate-pleasing trade, the event is sure to grow. Details about next year’s event, as well as the chance to purchase advance tickets, will be available on the IRC’s website or the Facebook page. “We need to paint a picture of refugee contributions to the community,” said Natalie el-Deiry in a previous interview. This event is just one part of that picture, growing a closer, stronger community through sharing a table and enjoying a meal together. This Is The Place Park hosted the Breaking Bread event. Dozens of tables were filled with decor and elaborate place settings. The event sold out weeks beforehand. Nearly 250 people enjoyed meals that spanned the world of cuisine, from Africa to Europe to Asia. Natalie El-Deiry and Patrick Poulin welcomed guests and presented awards. St. Mark’s Family Medicine received an award for the VeggieRx pilot project. Volunteers and attendees enjoyed an arts and crafts table. Professional videographers recorded greetings from guests and volunteers alike. Jennica works her magic on the wall prior to the guests’ arrival. A volunteer plasters the Polaroids to fill the place we all call home. The Burmese menu. Yum, indeed. Friends posing in front of the photo wall. The dessert went just as quickly as the appetizers. Michaela’s masterpiece before the event. Michaela’s masterpiece on display at the event. The Center for Research on Migration and Refugee Integration is housed in the University of Utah’s College of Social Work. The CRMRI is located in Caren Frost’s office. The Center for Research on Migration and Refugee Integration opened as part of the College of Social Work at the University of Utah in 2016. Leading this center is Dr. Caren Frost. The CRMRI’s main focus is on obtaining federal grants and analyzing data that it receives from groups like the Catholic Community Services and the International Rescue Committee. Aden Batar is himself a refugee who works with the Catholic Community Services in Salt Lake City, helping to resettle refugees. With roughly 60,000 refugees here in Utah and hundred more coming each year, these two organizations are working together to help make Salt Lake City home for refugees from around the world. Each year, the CCS helps resettle roughly 400 to 500 refugees, according to Batar. These refugees are from all over the world, with 53 percent of them migrating or hailing from Afghanistan, Somalia and Syria. Batar says he expects the Syrian Civil War to lead to an influx of Syrian refugees, making Syria the largest source of refugees in the coming years. As the individuals integrate into Salt Lake City, they obtain education as well as work. Batar says that about 85 percent of refugees become self-sufficient within six months of arriving in Utah. While most parents don’t pursue a higher education once arriving, their children are more likely to go to college, says Caren Frost of the CRMRI. No information is collected on how many refugees go to the U, but the CRMRI estimates that there are at least 500 students with refugee backgrounds. The CRMRI describe itself as active with students on campus, but it thinks it can always be more involved. It finds itself interacting more with younger children in junior high and high schools, Frost says. Over the summer of 2017, the CRMRI hosted a workshop at the U for about 25 high school seniors from the Salt Lake Valley who were interested in college. Delva Hommes, the administrative manager for CRMRI, says it had a broad range of students, with some having been in America from two months to two years. The students spoke about a dozen different languages. Students who attended the summer workshop. Photo courtesy of Delva Hommes. Volunteers discussed with the students what different aspects of college and campus life are like at the U, why they think the students should go there, and how to help them achieve their goals. The CRMRI hopes to do similar workshops every summer, Frost says. CRMRI celebrated its first year at the U in August 2017. Frost described the program’s first year as “fact finding,” citing repetitive redundancy, also known as tautology where the same idea is said twice but with different words, as an issue that it deals with often. Because it is trying to put people in touch with others, she says it can sometimes be a challenge to coordinate and work with everyone’s schedules. The hallway leading to the CRMRI, which is on the second floor of the College of Social Work. Her second goal for the center is to create a geospatial map of the Salt Lake Valley. An earlier draft of this was created for the Refugee Women’s Committee, which Frost has chaired for more than five years, she said in a subsequent email interview. This map pinpoints where these women lived in the Valley, the public transportation routes near them, where libraries are and where they can go to get health and dental care. With this, researchers can see where people are versus the resources individuals need. Frost says these women are in a sort of “resource desert.” The medical care they need is far away, and in case of an emergency those without vehicles might not get the necessary medical attention, Frost says. Frost is looking to further enhance this project by working with individuals within the Department of Geography and with the Social Research Institute, to try to make something useful with this information. The Center’s final goal of 2017-18 is trying to get more community partners to help the program and do research with it. The CRMRI is constantly learning from its partners, like the Catholic Community Services and International Rescue Committee, about each group’s on-the-ground work, Frost said in a subsequent email interview. It would really like “to be doing more cross-cutting discussions about what research actually is, what we can actually say with things, what kind of data do we actually need,” Frost says. Everything is different. The weather. The food. The language. The culture and customs. The ethnicity. Visitor information is posted on the front door of the IRC located at 221 S. 400 West in Salt Lake City. One of the panelists, Kamal Bewar, came to the U.S. as a refugee from Iraqi Kurdistan during the Iraqi Kurdish Civil War at 22 years old. Since then he has made Utah his home. “I have been fortunate to have had people who made a difference and made me feel welcome. It has been the individuals who have made the difference in my life,” said Bewar during the event. He is an example of a political refugee who has successfully created a new life after arriving with close to nothing. Bewar graduated with a Ph.D. from Argosy University in higher educational leadership. He now has a flourishing career working at Salt Lake Community College. He also is president of the Kurdish Community of Utah. So, what happens when refugees arrive in Utah? First, they are welcomed by International Rescue Committee or another resettlement organization. After they have food and shelter and immediate safety, they are given English classes and tasked with adapting to the new environment. What is the western answer to this often traumatic experience? IRC, Department of Child and Family Services (DCFS) and many other organizations offer therapy, medication and mental health programs. These programs are beneficial. However, the clinical concept of mental health may be foreign to some New Americans. Hannah Fox, who was an intern at IRC before accepting a position as a social worker with DCFS said a problem many healthcare workers, social workers and others are seeing, is a systemic disconnect in the way we, as Americans, understand other cultures — and vice versa. The IRC is nestled between The Rose Establishment and the historic W. S. Henderson Building. What is found to be actually helpful, said Fatima Dirie, refugee coordinator for the University of Utah, is making a community. Once the programs are over, it’s the relationships and friendships made that create lasting change and true integration. Utahns can help make people feel welcome by saying hello, simply smiling, or inviting someone over for dinner. If interested, sign up for a Family Mentor Program, or complete a volunteer orientation at IRC. Fostering meaningful relationships is what truly matters. Refugees are opening new businesses and bringing new solutions to Salt Lake City, thanks largely to the International Rescue Committee and other local organizations that coordinate resettlement. “The refugee and immigrant community has a higher rate of entrepreneurship than natural-born citizens,” said Natalie El-Deiry, deputy director of development and strategic initiatives at the International Rescue Committee office in Salt Lake City. Her eyes light up when talking about the growth she has seen. While no one may be able to quantify the exact figures, she estimates that dozens of businesses owned and operated by refugees have opened since 2012. “They’re a thread that weaves through the community and brings us closer together,” she said. Immigrant-owned businesses in Utah employed over 31,000 people in 2007, according to a report from the Partnership for a New American Economy. Another NAE report shows that refugees and immigrants brought an estimated $56.3 billion of spending power to the national economy in 2015. They paid $20.9 billion in taxes. Such colossal numbers also serve as a bittersweet reminder of greater struggles. The global number of forcibly displaced people is over 65 million, according to the United Nations Refugee Agency. Refugees comprise nearly one-third of that number. On average, Utah takes in around 1,200 refugees per year through the two primary resettlement organizations: the International Rescue Committee and Catholic Community Services. Aden Batar, director of immigration and refugee resettlement at Catholic Community Services, reports that the final fiscal quarter of 2017 brought less than half of the people expected. “We take a capacity survey every year, and report that we can handle a certain number of cases. We only got 20 [assigned] for September. It’s normally more than 50,” he said. Utah is unlikely to receive any more refugees in 2017, although the groups within the state could help resettle many dozens more. The current administration is apathetic, the New York Times reported, to fixing the global humanitarian crisis through open doors. That story pointed out that the economic contributions of refugees were apparently censored by White House officials. The released document excluded anything but the cost burden presented by initial resettlement and government assistance. The White House is ignoring billions of dollars of income tax, discretionary spending and wages paid to employees by refugee business owners. Fewer refugees means that fewer opportunities for integration of new ideas — not to mention potential jobs and workers — will arrive in the near future. Batar said that about 85 percent of the refugees CCS works with are self-sufficient within six months, and generally start contributing to the local economy immediately. A report from the National Bureau of Economic Research estimates that refugees have higher employment rates than native-born citizens once they have lived in the U.S. for several years. But as much as refugees want to work, they must be welcomed into a community to do so. Batar, a Somalian refugee himself, is unwavering about this global plight of humanity. “It is the hardest thing a human being can ever do,” he said, referring to the journeys undertaken by refugees. “When you don’t have a choice, it doesn’t matter where you’re going, as long as it’s a peaceful place,” he said, his voice firm and insistent. “Someone may come with a myth in their mind of the United States providing everything,” he said, so instilling new concepts like paying bills and making rent on time can take some adjustment. Programs such as those offered by the International Rescue Committee, Catholic Community Services and their partners are crucial for stability, smooth transitions and the livelihood of the community overall. Thanks to local initiatives, volunteer outreach and business incubators, refugees can start to lay a foundation for future success. The Spice Kitchen Incubator has provided a hands-on educational workspace since 2012 to launch food service businesses. Refugees and underprivileged people prepare and profit from their native cuisines in a new place. With over 30 businesses introduced to the greater Salt Lake City region, including a baker’s dozen just since 2016, the results are unmistakably successful. Ze Min Xiao, director of the Office of New Americans in Salt Lake County, has hope that the successes outweigh the challenges for the refugee population and the groups serving them. “Utah is doing relatively well compared to other parts of the country when it comes to refugee integration, but the situation always has room for improvement,” she said in a phone interview. “We’ve recognized the need to ensure groundwork is laid down early for long-term opportunities,” including mentoring and business resources for immigrant and refugee entrepreneurs. “Government agencies can’t do everything,” she said. “My office right now is just me and a temp. But we are convening outside stakeholders and bringing a vision together.” Those outside stakeholders include businesses employing or founded by many of the refugees in Salt Lake City. The chance to work with new arrivals every year demands big-picture thinking, as evidenced by the New Americans Task Force Welcoming Plan. The community has a lot to give to refugees. But refugees have even more to give back, whether it’s tax dollars or cultural diversity. They just need a safe place like Salt Lake City to start. Spice Kitchen Incubator gives certain Utah residents a unique opportunity: a chance to plan and develop a food-based business. 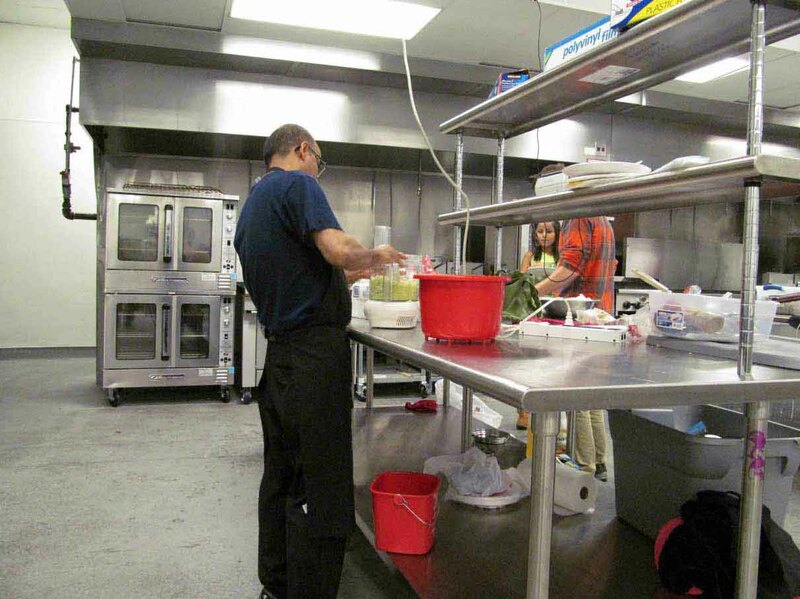 The kitchen incubator primarily assists international refugees who have relocated to Salt Lake City, but also provides services to immigrants and lower-income individuals. The program is part of the International Rescue Committee in Salt Lake City, or IRC SLC, which helps in international crises and relocates refugees in 22 different cities throughout the U.S.
Spice Kitchen Incubator provides everything from ovens to large prep space for the chefs. Refugees are individuals forced to leave their native country due to political unrest, war or safety concerns. When they are relocated to the United States, they have to adapt to a completely new culture and way of living. Spice Kitchen Incubator helps them adjust to some of these changes. Entrepreneurs, or participants, in Spice Kitchen Incubator aspire to start their own business. These individuals will mostly likely run their own catering business, food truck or farmers market booth by the end of the program. The program is designed to help each entrepreneur achieve these goals and be successful in the American business market. Spice Kitchen Incubator is divided into two different levels: pre-incubation and incubation. Pre-incubation is designed to help entrepreneurs develop a business plan and teach them how to run a successful business. Incubation is focused on real experience and exposure, putting each participant in control of their business. Entrepreneurs begin in pre-incubation. They participate in this level for six months before advancing to incubation, depending on their individual needs and progress. During this phase of the program, they are building the foundation for running a business. Each Saturday, the kitchen incubator hosts workshops for those individuals, covering everything from profit-and-loss and advertising to marketing positioning and food costing. Additionally, each entrepreneur will participate in a focus group. The focus group plays an essential role in the development of the aspiring business owner’s business plan. “Volunteers from the food industry and the community come and try the entrepreneur’s food and those are entrepreneurs in pre-incubation so they are just developing their menu and what they are going to sell,” Healey said. Feedback from volunteers is essential. It helps the chefs make adjustments to the business plan. It also can help them develop a mentorship with people in the community. Kamal is one of 10 entrepreneurs in the pre-incubation stage. As a Bhutanese refugee, he was resettled in the U.S. almost five years ago. He has participated in the Spice Kitchen Incubator for almost a year. Kamal’s focus group met on March 11, 2015. The chef spent several hours preparing food to present to the group. He said he has enjoyed participating in the program and was excited to share his culture and food with the volunteers and staff. He said he is very appreciative for the help of his wife and daughter, as well as a local volunteer, while preparing for his focus group. Kamal prepares for his focus group with the help of his wife, daughter and a community volunteer. After pre-incubation, entrepreneurs advance to incubation. This portion of the program typically lasts for 4 to 4 1/2 years. In all, entrepreneurs are able to be in the program for five years. There are currently three entrepreneurs enrolled in the incubation portion of the program. Since the Spice Kitchen Incubator was only opened in 2013, no one has graduated from the program yet. During incubation, the aspiring business owners begin running an operational business. They start by applying for their business license. Once received, the entrepreneurs begin catering events and participating in local farmers markets. During the winter, the chefs sell pre-packaged food at the market that they prepare at the Spice Kitchen Incubator’s facilities. The winter market is held every other Saturday at the Rio Grande Depot (300 S. 300 West) from 10 a.m. until 2 p.m. It runs through April 2015. During the summer farmers market, entrepreneurs rotate between packaged and prepared foods. 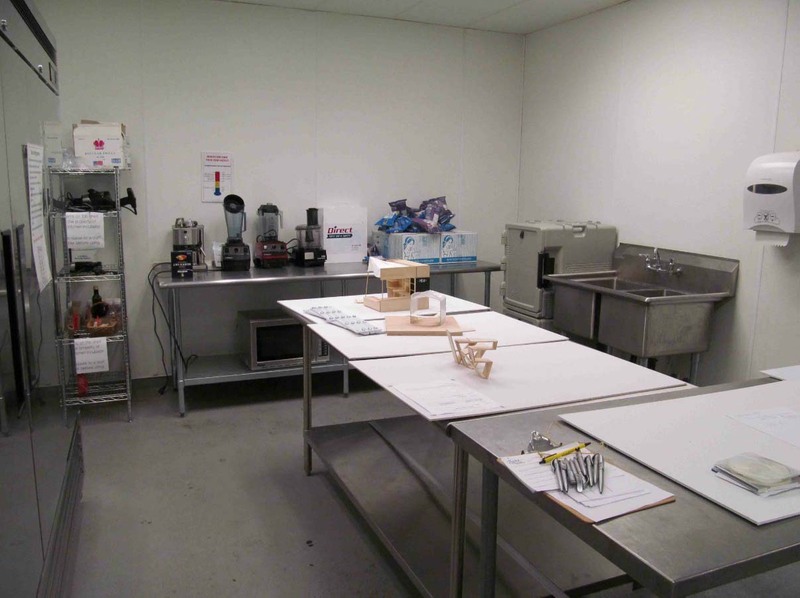 Prepared foods are cooked on-site rather than at the Spice Kitchen Incubator facilities. Healey said the kitchen hopes to expand its services at this year’s summer market to include one booth dedicated solely to packaged foods and another just for prepared foods. This would give the entrepreneurs more exposure and increase their ability to build a client base. The summer market runs from June 13 to Oct. 24, 2015, and is held each week at Pioneer Park on 300 W. 400 South. Healey said the farmers market demonstrated how beneficial the incubator’s programs can be for both the business owners as well as the community as a whole. Community members can get involved with the incubator through several different ways. The Spice Kitchen Incubator is always looking for individuals to serve on focus group panels, which requires a commitment of a couple hours each session, as well as help with any other topics related to running a business. Donations can also be made on the incubator’s website. A 3-year-old boy sits barefoot on the pavement at 2248 S. 440 East in South Salt Lake City, with a weary look on his face. Watching other children laugh and play at the Hser Ner Moo community center for refugees, he remains on the sidewalk alone. Unfortunately, not all Asian individuals have been lucky enough to have had the kind of upbringing and opportunities to succeed. Some of them have never had the chance to learn and grow. 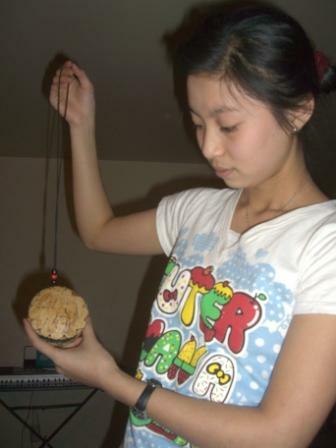 This necklace made out of coconut was brought over from Thailand. More than 2,000 immigrants arrive in Salt Lake City each year, according to reports by the International Rescue Committee. The majority of these immigrants come from Burma and other Asian countries. Many of them were allowed asylum into the U.S. due to political persecution. Many children have never lived outside of refugee camps, or have been exposed to the freedoms they find in Utah. Roger Tsai, an immigration attorney at Parsons, Behle & Latimer and former president of the Utah Asian Chamber of Commerce, said that although many refugees from Japan, Korea and China generally tend to have more education under their belt, many other people in Asian countries still struggle to access basic schooling. In the Hser Ner Moo Community Center for refugees, students of all ages are learning English in school while acclimating to American culture. In the afterschool program, they come together to do homework, play games, and use the English vocabulary they picked up in school. With the help of volunteers, the center coordinates activities, outings and trainings for the children to enjoy. 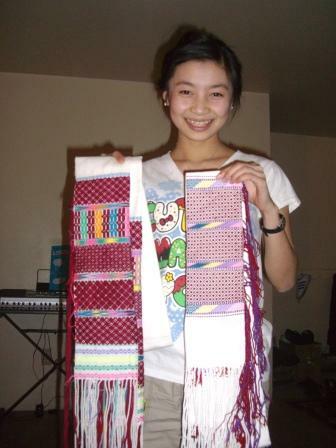 Lewe La Sa shows off a traditional scarf. Lewe La Sa, 17, who is Burmese, arrived in the U.S. only 18 months ago from a refugee camp in Thailand. She came to the center to get help with her homework, as she was trying to get through a full class load during her last year at Cottonwood High School. Sa showed motivation to learn for her classes and improve her English skills as she transitions from the life she knew growing up in the camp, where she was an excellent student. She speaks Karen, some Thai and now English. She said her mother never had the opportunity to go to school. Sa dreams of attending the University of Utah and becoming a nurse. If that doesn’t work out, she said, she wants to be a social worker and help refugees from her country. Sa and her younger sister, Paw Ku Sher, currently teach a refresher course of Karen to refugee children between the ages of 4 and 14 every Saturday. 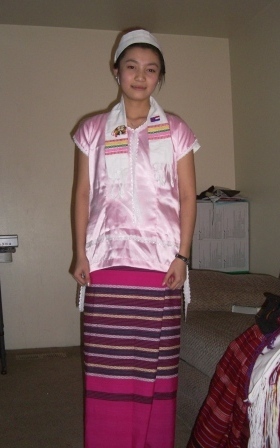 Special occasions in Burma require specific dresses. “If they have lived here for a long time, they don’t remember their family’s native language very well,” she said. Her next step toward achieving her academic goals is succeeding at the upcoming college entrance exams. Kaity Dixon, an IRC volunteer coordinator, said in an orientation to volunteers in Salt Lake City that it’s a true struggle to learn to read and write in a foreign language when you haven’t learned to do so in your own native tongue. “In an instant, reading directions and completing necessary paperwork for daily life becomes a barrier to progress in a new country,” she said. Without organizations like the IRC and other offices, as well as on-site tutoring for refugee children and services for whole families, personal, financial or educational achievements for these individuals might be too far out of reach. A Japanese saying captured this complex situation of giving direction right at its point: “When one has no needle, thread is of little use.” The programs offered now could expand or improve in the near future by greater participation and community involvement for maintaining these vital services. Maybe there is hope for the young boy on the sidewalk after all.